I hate carrying a thick wallet so a couple years back I printed a credit-card-sized card with a list of all my loyalty card numbers – Air Miles, Safeway, Sobeys, Longo’s, Calgary Co-op, National Emerald Club, Office Depot, PetsMart, Mountain Equipment Co-op, Shoppers Optimum, etc.. Can you imagine how thick my wallet would be if I had to carry all those cards with me everywhere? And then a couple months back when I was cleaning out my wallet and trying to get it even thinner, I realized – why am I even carrying around my home-made card at all? I have an iPhone with a built-in Notes app, so why not just put them all in there? I ditched the card and it’s actually working better than before. Rather than handing my laminated card to the cashiers, (and inevitably being told how great of an idea it is and asked how I made it), I now just read them the card number off my phone – it’s easier for me and quicker for them. The only place this hasn’t worked is at Shoppers Drug Mart. Not just reading the numbers off the phone, but even when I had my homemade card it was always hit-and-miss whether or not They’d accept it. Some cashiers would just input the number, no questions asked, and let me be on my way; some would refuse to accept it at all and others would make me wait at the cash register for more than ten minutes while they called a manager to ask for authorization. Why did it have to be so difficult? The excuses were always changing and sometimes, very creative. Either they "weren’t allowed" to enter them, or it was "against the Shoppers Optimum Program Rules" or they "didn’t have authorization on the computer system to enter it" or sometimes They’d say the computer system didn’t have a way of letting them enter card numbers manually. Really!? Like I said, it was hit-and-miss as to which stores would accept the card, and sometimes it even varied from one employee to the next. It was such a hassle to collect these points (and incredibly inconvenient when I was at a store that insisted on calling a manager to input it for me – so much waiting!) so I just stopped collecting the points altogether. What I didn’t realize until just this past weekend, is that these experiences had turned me away from Shoppers Drug Mart altogether. Without me realizing, it had also made me want to avoid shopping there whenever I could. But this past weekend, we were shopping at No Frills and were about to put some Tide laundry detergent in our cart when a friendly couple informed us that it was on sale for half the price we were about to pay, at Shoppers Drug Mart. I stood in the aisle at No Frills questioning the validity of their claim and debating whether it was worth taking the time to go to Shoppers at all – it was then that I realized that I have been avoiding shopping at Shoppers Drug Mart. Unfortunately, the couple then informed us that there was a Shoppers Drug Mart right next door, so we had no choice but to check it out. If we didn’t, we’d just be throwing away money and that would be stupid. It turned out the price was indeed half as much as what we were about to pay, but it was for 25 loads of detergent and not 32. Still, it was cheaper. The young cashier overheard what I was telling Michelle and seemed a little perplexed by what I was saying (and he seemed like a nice guy) so I explained to him that some Shoppers Drug Marts take the numbers, and others don’t and it’s just too much of a hassle so I just don’t collect the points anymore. And then out of nowhere, this little girl, presumably his superior, jumped out from under the counter (she must have been restocking the bags?) and proceeded to explain to me that they’re not allowed to input the card numbers because they’re being monitored by head office and if they manually entered the numbers They’d get a call the next day questioning them and They’d have to fill out reports and.… Argh! Just exactly what I was trying to avoid! I wasn’t asking them to take my card number, I gave up on that months ago; I was just explaining to our cashier why I gave up on it months ago. If that wasn’t enough, this girl decided to walk with us to the exit of the store so she could keep harassing us with her explanation of why they can’t manually enter the card number. Instead of letting our cashier handle the interaction from beginning to end (he was doing a great job – very pleasant! ), she just had to interrupt and take over the transaction to assert her seniority and sour the experience for us. If we had any doubts about why we weren’t collecting the points or why we were avoiding shopping at Shoppers Drug Mart, she was on a mission to make sure we left with certainty! I think she just wanted to argue, but she explained to us that they’re not supposed to enter the card numbers because head office is afraid that their employees are just entering their friends’ card numbers so that they can steal points. She didn’t know what to say when I responded, "Then it sounds like you have a hiring issue! you’re telling me that Shoppers Drug Mart doesn’t trust their employees and thinks they’re hiring thieves, so rather than hiring better people, they implement policies that inconvenience their customers?" It isn’t the first time that I’ve heard that explanation, but seriously, if that’s the real reason, they have a serious hiring issue that they should address. Safeway inputs their card numbers without a physical card present, as does Sobey’s, Longo’s, Co-op, National, Office Depot, PetsMart, Mountain Equipment Co-op, etc.. And everywhere they accept Air Miles (that’s a lot of places!) hire good enough people that they can trust so they don’t have to worry about their employees stealing points from them. But apparently Shoppers Drug Mart hires only dishonest thieves that have to be watched very closely! To give another example, at Sobey’s, the only time they require the physical card to be present is if you want to redeem points. it’s not to cover up for deficiencies in their hiring practices, but it’s to protect their customers. Otherwise, anyone who knew my card number could walk away with free groceries and I’d be missing all those points. But to collect the points, all you need is the card number. that’s a policy that makes sense and it’s good for the customer. 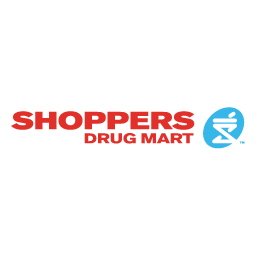 Shoppers Drug Mart Woes was published on Wednesday, November 21, 2012 at 1:45pm EST by Daniel Menjívar and last updated on April 11, 2018 at 9:30pm UTC .